Just how much are these prolific investors betting on Series A and Series B rounds? And at what valuation? 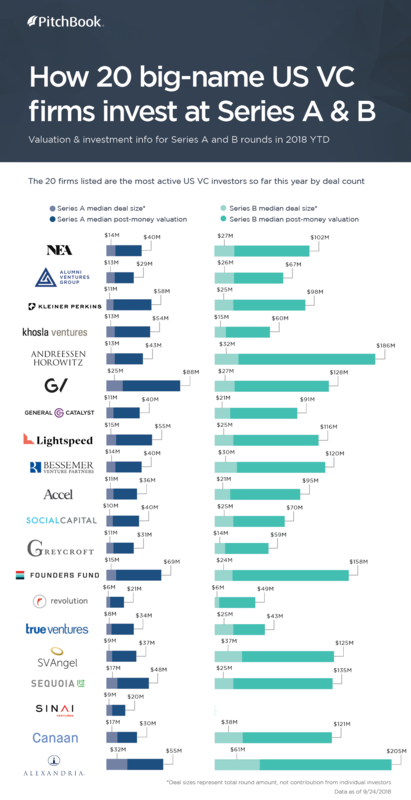 We've used data from the PitchBook Platform to highlight a collection of the top venture capital investors in the US (excluding accelerators) and provide information about the Series A and B rounds they've joined so far this year. Click on the graphic below to open a PDF.